As if we needed another reminder, the Today Show had a piece this morning on the dangers of payday loans. They did, however, include some interesting numbers that really drive home how bad these loans can be. For example, they highlighted a borrower named Mary who took on a $400 loan in a pinch, opting for a payday loan because “a commercial loan would’ve taken days.” Unfortunately for Mary, the interest rate was so high that she wasn’t able to pay of the loan immediately, so the payments continued to accrue. By the time Mary finally paid off her loan a year later, she had paid $1420 in interest alone. That works out to well over 300% over the course of a year. While some states have started regulating payday loans, others haven’t, and the industry is apparently flourishing. At the same time, the Better Business Bureau reports that they’ve received more payday lending complaints so far in 2011 than in all of 2009 and 2010 combined. 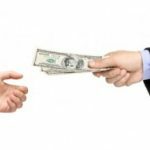 While payday loans can arguably be helpful in an emergency — assuming that you actually pay it off at your next payday — they can result in financial disaster if you’re unable to pay off your loan quickly. Jean Chatzky, Today’s financial editor, also pointed out that payday loans are rarely a one-time thing. While the typical payday loan may only be for a few hundred dollars, the average borrower will take out nine such loans over the course of a year. Chatzky went on to argue that credit card cash advances or your bank’s overdraft protection — products that she normally warns consumers about — are actually much cheaper options, and should be used before you ever consider a payday loan. While these sorts of things don’t really help the unbanked, they could be decent alternatives for those with access to them. Of course, at the risk of beating a dead horse, nothing beats having ready access to an emergency fund at your favorite bank or credit union. Excellent blog you have got here.. It’s difficult to find quality writing like yours these days. I really appreciate individuals like you! Take care!! Don’t get me started on payday loans! LOL I hate those things with a passion! My wife and I were often victims of our own stupidity and failure to plan. We often frequented these establishments to “make ends meet”. However, the ends never met! In fact the ends were getting further and further apart. It wasn’t until we started on a budget, and monitored our spending that our financial position turned around. Before budgeting we were short about $150 per month. After living on a budget, we were at a surplus of about $900 per month with no extra income. Just from giving every dollar a name, and sticking to the plan. Well, we also did away with some non essentials like cable, an extra cell phone line, etc. How weird is that! Who doesn’t have cable! 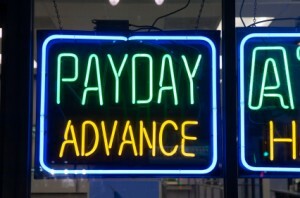 While everyone may not have our experience with Pay day lenders. I would tell people to exhaust every resource they have before using one of these companies. Sorry for the rant, I am just passionate about this topic. Payday loans are horrible! I was forced to take one out after I spent every penny I had on a big repair and couldn’t afford a $15 gasket for a leaking differential till I got paid in 3 days, decided to baby the truck to work and the axle seized on the highway with a $2.5K bill to fix it. 2 huge back to back unexpected expenses was more than I could handle and I was forced to walk into the dreaded pay day loan office. I’m well read on finances, I know what I’m doing, I’ll pay it off in a month I thought.. Wrong! These things are structured with heavy fees up front on top of the interest basically front loading all of the interest they charge you the second you sign the paper, I can’t think of any other loan that works this way. I read the paperwork, I’m fairly good at unraveling legalese but even I was mislead. When they say they charge $X a period in interest is not so, its actually $X the first day of the period. My next to last check didn’t quite cover it and I came back the next morning to finish it off but they decided to say that my early payment was the end of that period and roll over to a new loan and in the morning 8 hours later my account had accrued a months worth of interest! I could go on and on on the number of ways they screwed me. I had been conned and swindled out of $500 in 3 months. I was furious. Myself and a couple of others griped to anyone who would listen. After a couple of local news stories highlighted the predatory practices of this industry a bill was introduced and passed here in New Mexico protecting the people. Several of the things used against me are now illegal in this state but still ok elsewhere. Take it upon yourself and call your state legislator, tell others to do the same, you’d be surprised what can get done when attention is brought to an issue.